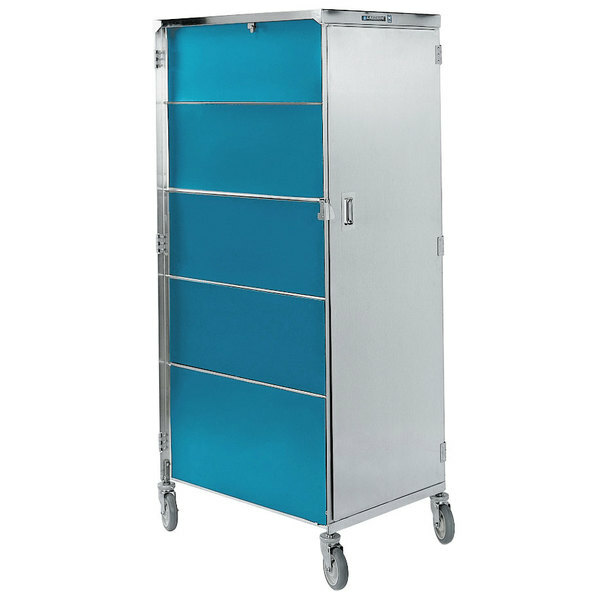 The compact design of this Lakeside 652 Compact Series stainless steel / vinyl tray cart will make it easier to maneuver through narrow hallways and tight storage spaces! This unit holds (20) 15" x 20" trays and has a 6" clearance between ledges. Each ledge holds two trays. The front door opens 270 degrees for convenient, unobstructed access to the cabinet, while a long-life door latch will hold up to repeated opening and closing.